New research coauthored by biology professor John “Keoni” Kauwe (BS ’99 MS ’03) and bioinformatics undergrad Kevin L. Boehme (BS ’15) shows people who are genetically predisposed to have high blood pressure, or hypertension, are less likely to get Alzheimer’s. The reason? 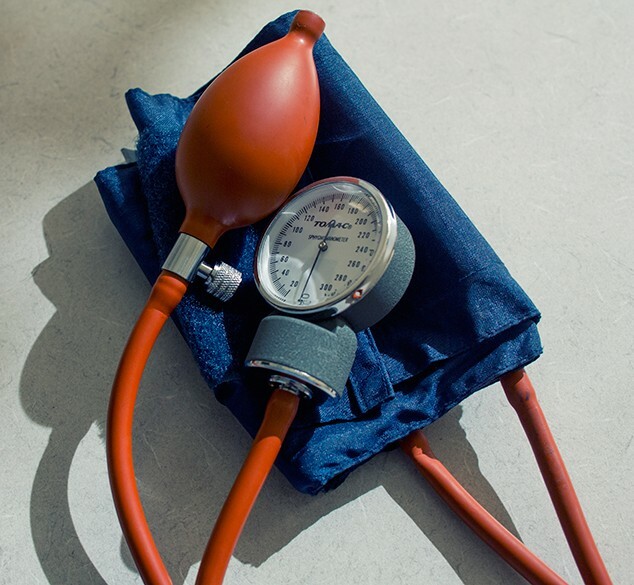 “It may be that high blood pressure is protective, or it may be that something that people with blood pressure are exposed to more often, such as antihypertensive medication, is protecting them from Alzheimer’s disease,” says fellow coauthor Paul Crane, an associate professor at the University of Washington. Either way, the results are heartening in the fight against a disease as baffling—and devastating—as Alzheimer’s, the most common form of dementia. Alzheimer’s has no known cure, and scientists are still picking through genetic, environmental, and lifestyle risk factors, searching for a causal relationship. This particular study, published in PLOS Medicine, is significant due to the tremendous amount of data examined. Thanks to the Alzheimer’s Disease Genetics Consortium and the International Genomics of Alzheimer’s Project, the team was able to analyze the genetic data of more than 17,000 people who had the disease and 37,000 people who did not. “In terms of the number of samples, it can’t get bigger at this point,” says Kauwe. To analyze all that genome data, BYU brought to bear its Fulton Supercomputing Lab as well as the school’s strength in bioinformatics, or the analysis and interpretation of biological data. Joining forces with scholars from the University of Cambridge, the University of Washington, and Aarhus University, the BYU researchers hunted for causal links between Alzheimer’s and other potentially modifiable health factors such as BMI, insulin resistance, diabetes, obesity, and cholesterol. Only one factor correlated strongly with reduced risk of Alzheimer’s: higher systolic blood pressure, or increased pressure on the arteries when the heart pumps blood.